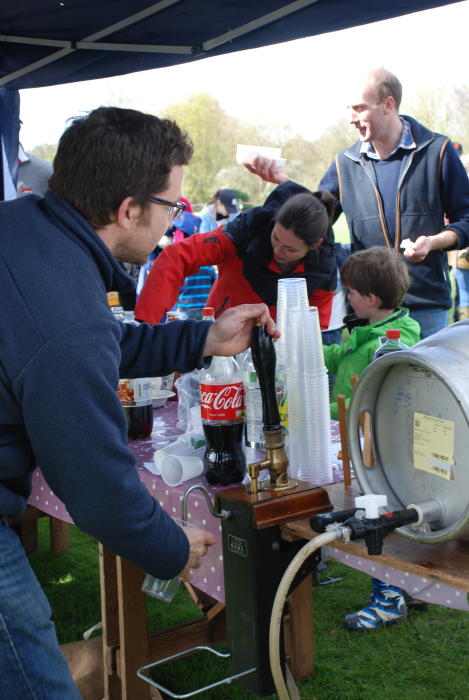 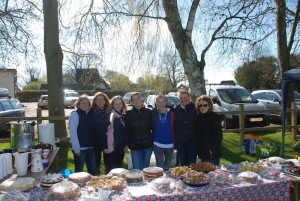 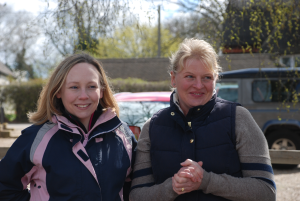 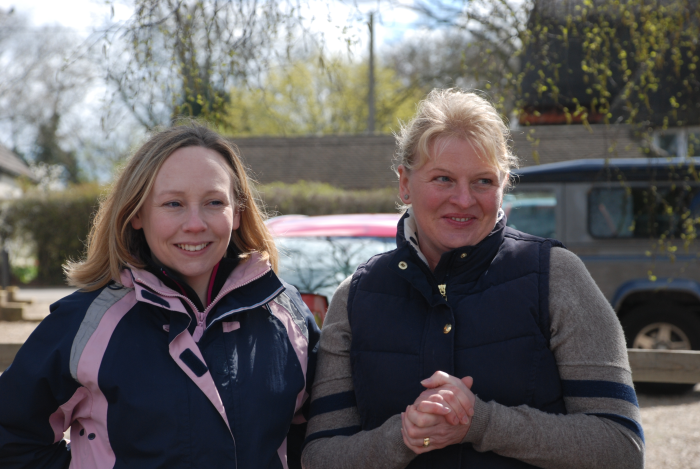 There was a great turn out for our second fundraising Ramble on 17th April. 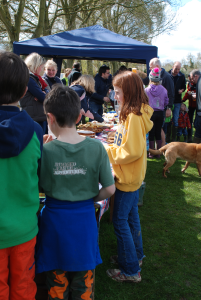 The sun was smiling down on us and the rain stayed away as lots of families and villagers and their four-legged friends embarked on a lovely 2 mile walk around Clavering. 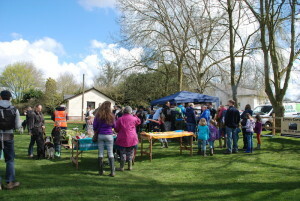 The heavy rain the previous day had made parts rather muddy but there were only a few casualities! Thanks to Jilly McNaughton for writing the nature quiz which was popular with young and old and the brainy Baalam family won a Family Membership to Wandlebury for the highest score! 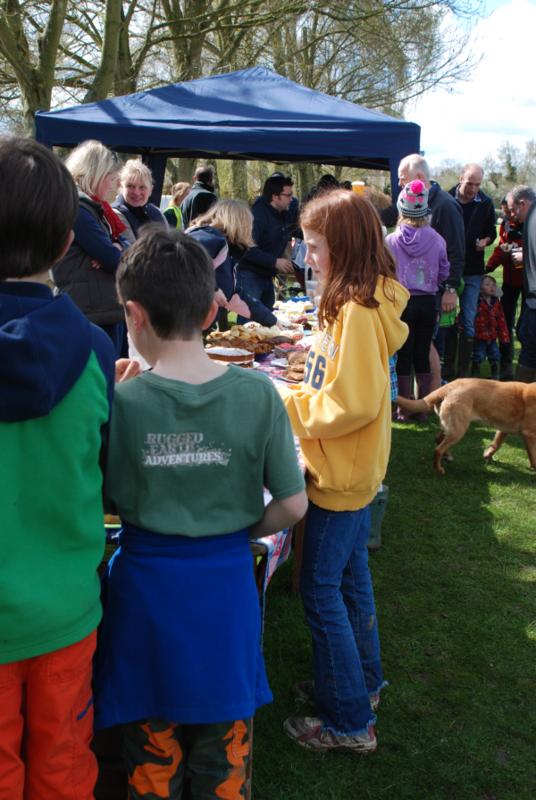 There was also a trug of bird feeders and seed kindly donated by Wilkinsons Pet Suppliers from Langley which was handed out to walkers. 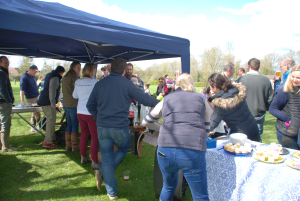 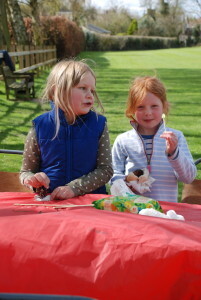 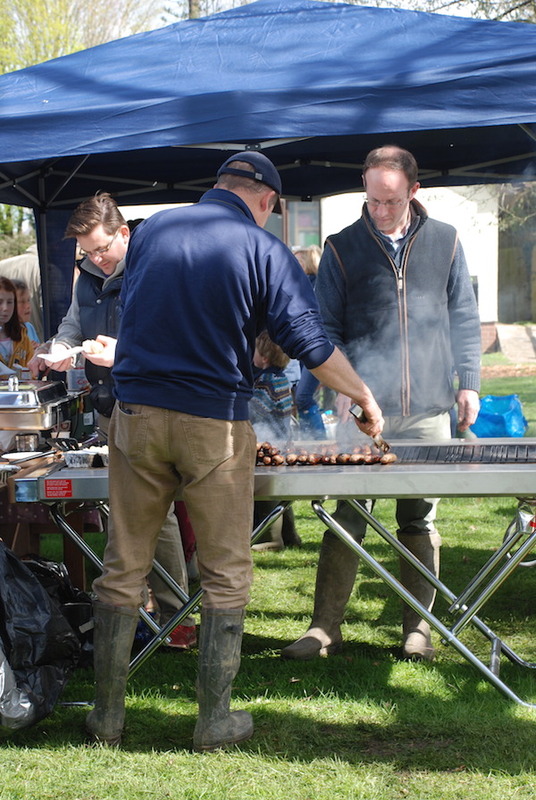 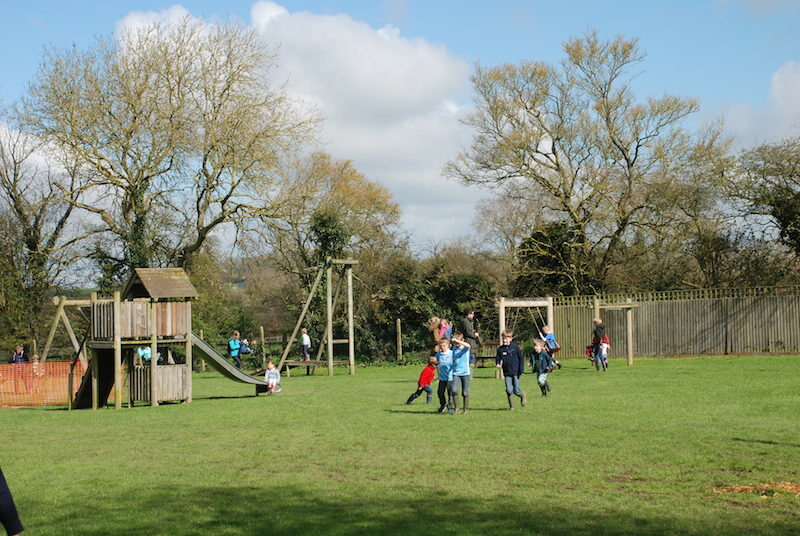 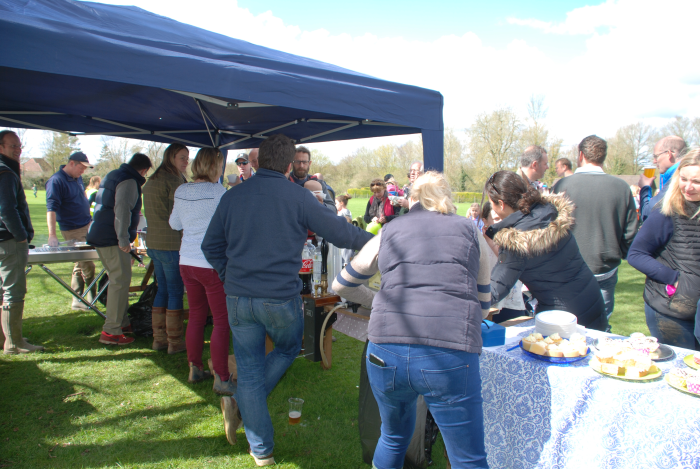 Amazing cakes were on offer, thanks to the parents from school and preschool and a wonderful BBQ – thanks to our local butcher from Stocking Pelham, Julian Clarke and to the Clavering Fireworks Committee for lending us their fabulous BBQ. 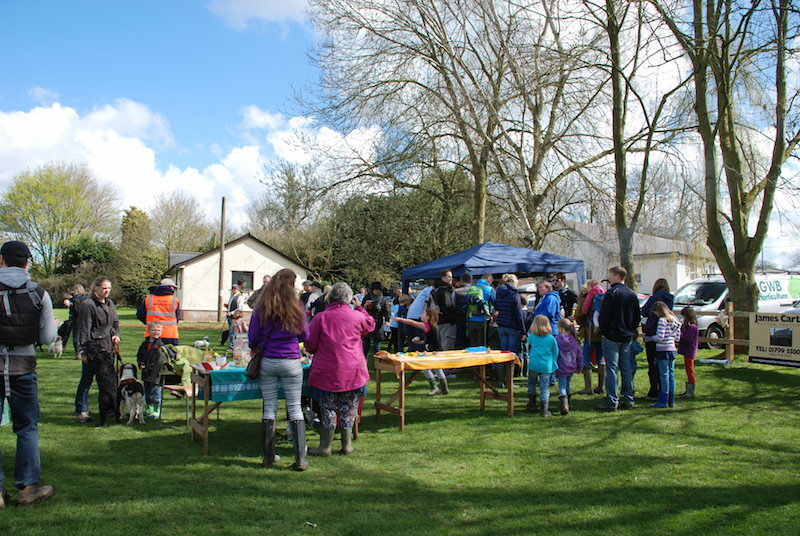 Thank you to everyone who volunteered to help on the day, the Jubilee Field Committee and Tash Carter for mapping out the walk and making sure it was marked clearly. 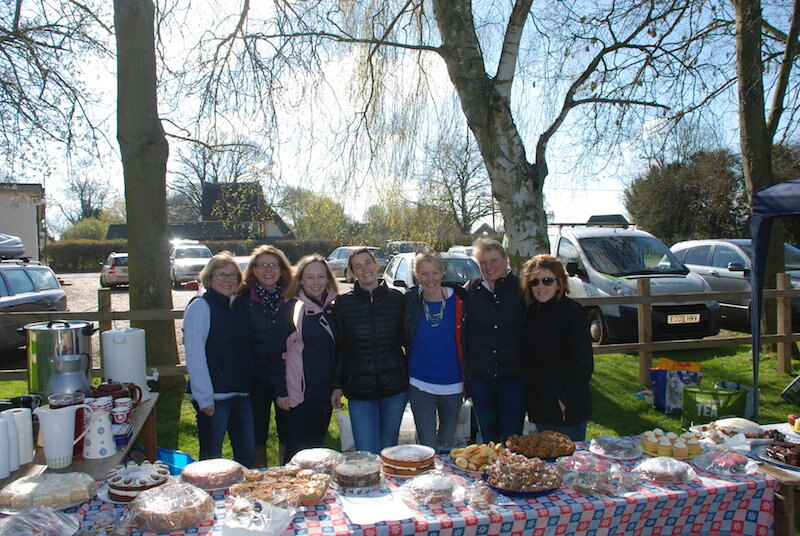 We were generously supported by the following sponsors, who helped us to achieve £1352.00 on the day and thank you to all the families who came to support this event. We are hoping to have another in the Autumn.